We have been witness to your attacks on Water Protectors at Standing Rock. We have watched as your para-militarized police force, with the assistance of such mercenary outfits as TigerSwan, G4S, and others, have repeatedly assaulted peaceful Sioux Natives on their own lands. In a major incident on Labor Day Weekend, your men along with uncertified security guards, used military-grade pepper spray and attack dogs to try to drive off peaceful Water Protectors defending tribal burial sites from pipeline bulldozers. At least six were injured when they were bitten by attack dogs. 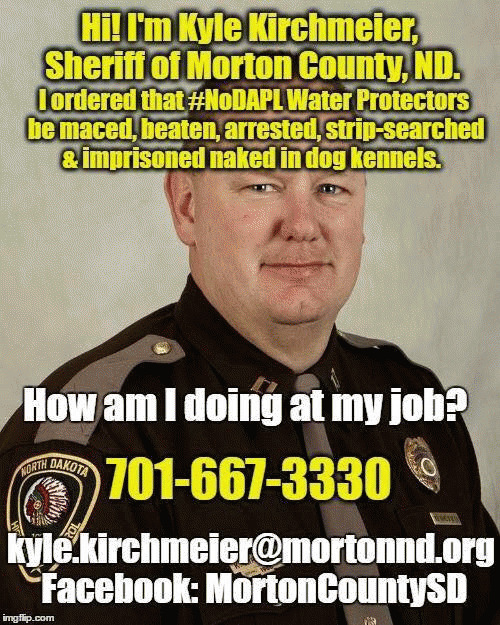 When journalist Amy Goodman aired coverage of this police brutality on Democracy Now, you and other Morton County officials instigated a frivolous lawsuit against her in an obvious ploy to censure the news (click here). Since then, the State Attorney for North Dakota has also engaged in the malicious prosecution of Green Party presidential candidate Jill Stein and Vice President Ajamu Baraka for joining Native activists at Standing Rock (click here). In another incident on October 22, police attacked Native American youth during a mass arrest of Water Protectors. During the melee, a member of the Apache Jicarilla tribe, Lauren Howland, had her arm broken when police beat her. She was rescued by Red Fawn Fallis, a member of the Oglala Lakota tribe. Soon afterward, Red Fawn became the target of Morton County police for trumped-up charges of alleged attempted murder while resisting arrest. 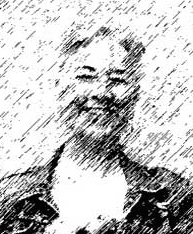 When journalists asked for footage of her arrest, your officers refused to comply (click here). Thereafter, Morton police targeted Howland for re-injury of the same arm in a subsequent attack (click here). On October 27th, Morton county police attacked Water Protectors with tear gas, tazers, mace, sound canons, rubber bullets and beanbag rounds. Many more people were injured, and over 140 were arrested. In this incident, your department beat and robbed elders engaged in peaceful prayers and had them thrown into dog kennels. Some reported that police wrote numbers on the inside of their arms. At about the same time, the Bureau of Indian Affairs arrested an armed DAPL security contractor, Kyle Thompson, who threatened Water Protectors with an assault rifle when he was discovered trying to infiltrate them (click here). 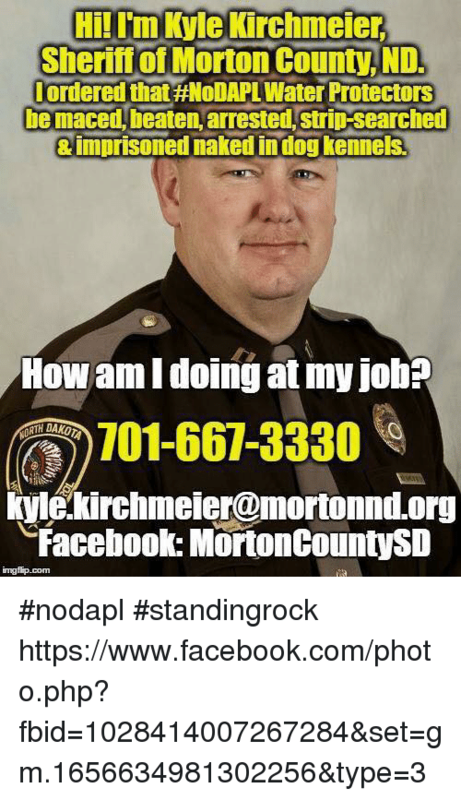 Morton County officials also engaged in the malicious destruction of protestors' property by pouring paint and mice feces over belongings stolen in the raid. You notified protestors that they could recover their possessions in a field where the debris from the raid was dumped out of garbage trucks. Some reported that sacred items had been urinated on.